calculate phylogenetic trees via a variety of evolutionary models. 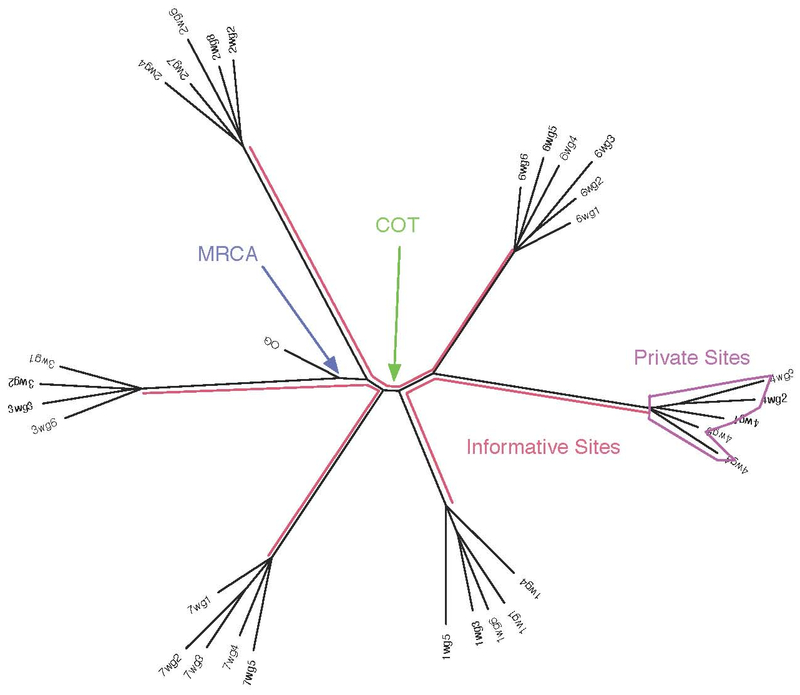 reconstruct the consensus, Most Recent Common Ancestor (MRCA) and Center of Tree (COT) sequences. compute genetic distance distributions, diversity, and divergence from the consensus, MRCA, COT and any sequence in the alignment. graphically represent the inferred tree and plots of divergence, diversity, and distance distribution histograms. detect, visualize and numerically summarize phylogenetically informative sites as well as private mutations. compare intra-individual genetic sequence diversity between populations. Deng W, Maust BS, Nickle DC, Learn GH, Liu Y, Heath L, Kosakovsky Pond SL, Mullins JI 2010 DIVEIN: a web server to analyze phylogenies, sequence divergence, diversity, and informative sites. BioTechniques 48:405-408 (PDF). © 2011 Mullins Lab, University of Washington. All rights reserved.